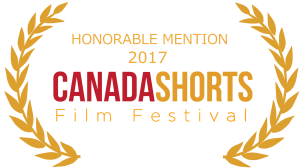 Three of our recent(ish) shorts picked up awards from The Canada and International Short Film Festival for 2017. 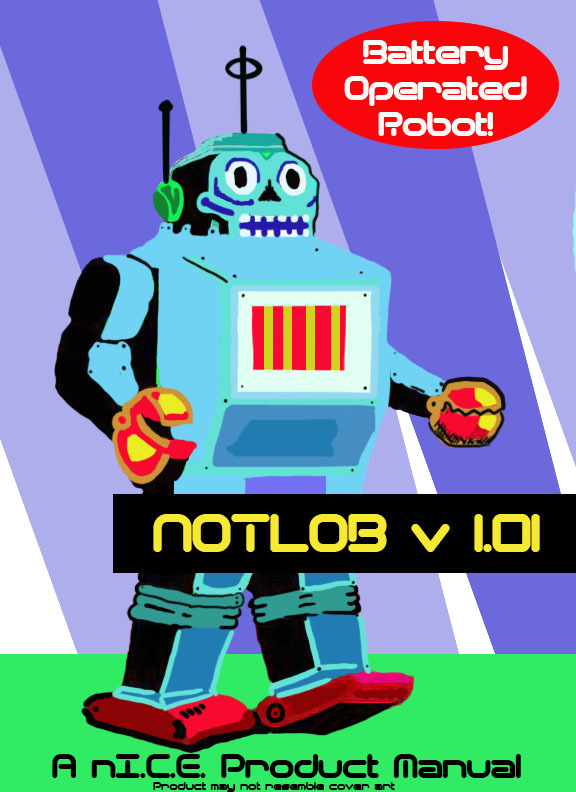 Notlob: – Won a Merit award. 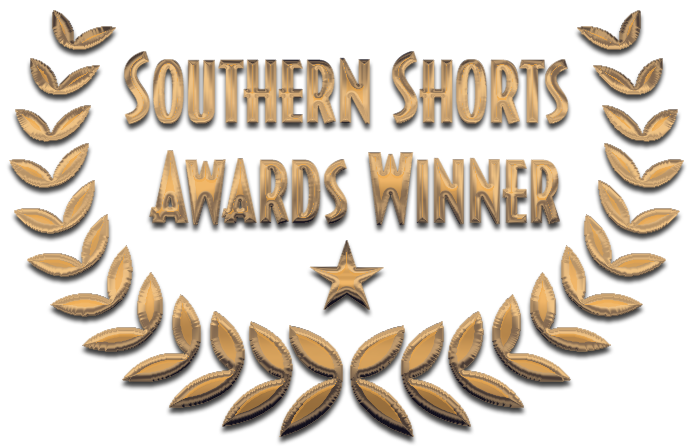 Notlob also won Best Editing and Best Sound Design in the 2013 100 Hour Film Race. 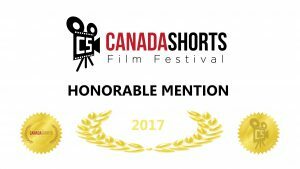 Closure (2016) and Get A Life (2011) picked up Honourable Mentions. 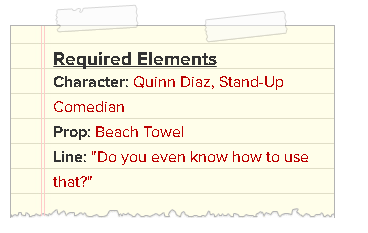 The Pain Inside Diaz Wins Things with Stuff! 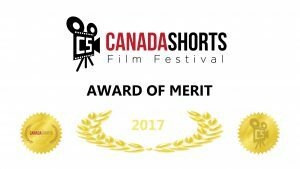 Now considering the events surrounding this film it’s amazing we picked up any awards and we are pretty chuffed about it. Originally we back out of the contest, then stayed in. At the scripting stage one of the writers said this may be the stupidest thing 416film has ever written (it was Rob, who still thinks he might be right). Then during the editing of the film, for the first time, thought we were not going to make the deadline. We dropped a couple of effects shots and skipped the colour correction and made it in on time. And now, after 2 live screenings with almost capacity crowds who seemed to enjoy most of the antics in this short we also landed “Best Use of Prop” and “Best Choreography”. We are not exactly sure about the choreography award but it might have something to do with the stairwell shot. Either way, The Pain Inside Diaz is now live and you can save yourself the price of admission and watch it above. 416film Screening at Bloor Hot Docs! 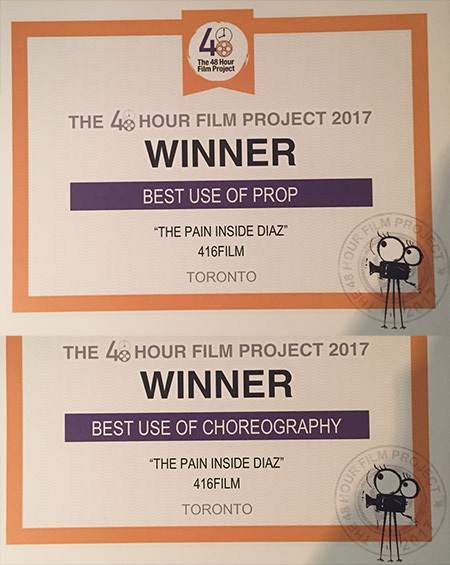 The 416film team was at it again in October, 2017. 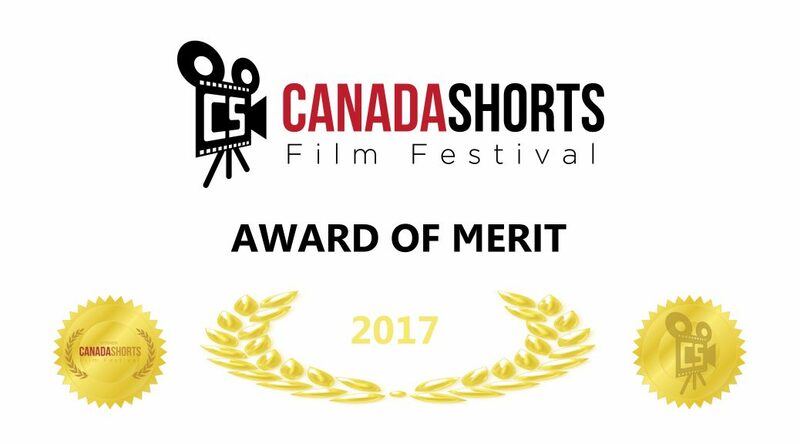 We joined the Toronto 48 Hour Film Project competition and after 6 screenings with all the competitors, we still managed to eke out a spot in the “Best of Screening” taking place Nov. 18 at Bloor Hot Docs. We snagged a theme that is near and dear to our hearts: Time Travel. 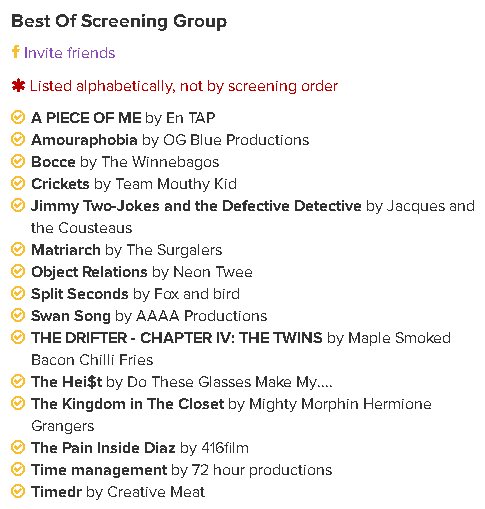 There’s a whole bevy of other contenders in The Best of Screening so come out and support local Toronto filmmakers! 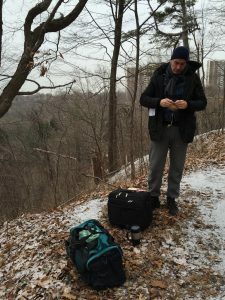 Closure was a departure for 416film but still an interesting film (check it out below). 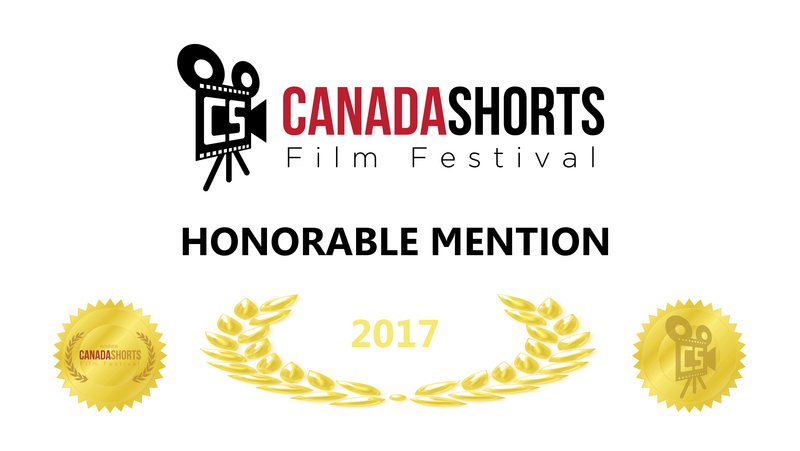 Apparently Closure didn’t resonate with the judges at the 100 Hour Film Festival this year. To be honest, while it is something that is not part of our regular film style I think overall the group was pretty pleased with the end result. 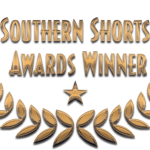 Admittedly it’s a dark and moody little thing but we will send it out to a few film festivals and see if there is an audience for the film. 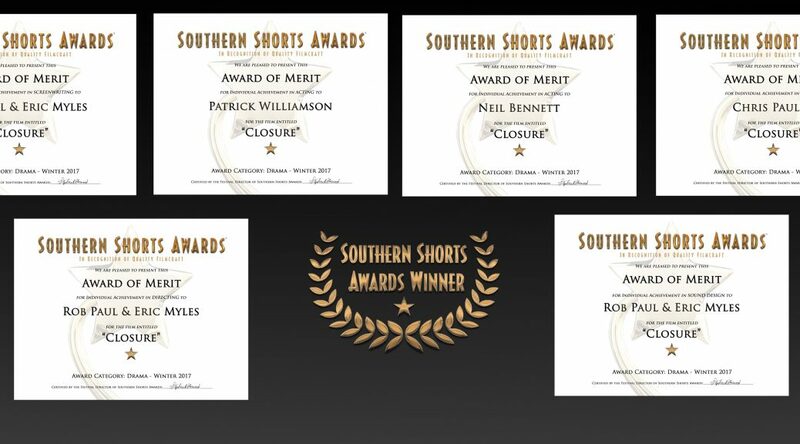 A quartet of regulars: Neil Bennett, Eric Myles, Rob Paul and Patrick Williamson. A fifth player, musician Chris Pauley worked offsite composing pieces based on the script and then tailored to the rough and final cut of the film. 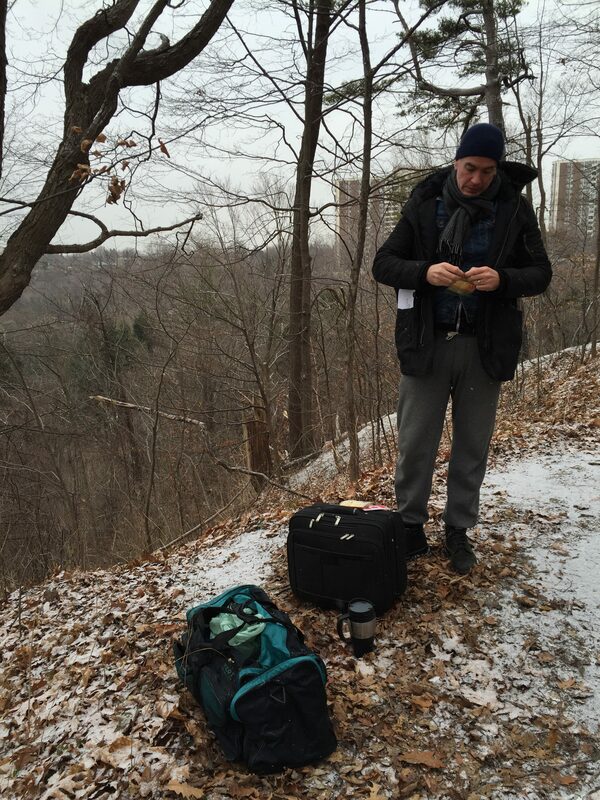 Eric and Rob wrote the script, something a little off the beaten path for the regular “comedies” 416film makes. 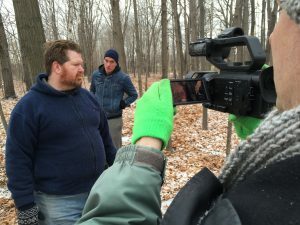 Pat and Neil filled out the two acting roles while Rob and Eric worked behind the scenes. The weather, although bleak and mildly snowy actually provided a great somber look to the film. A little less hectic and rushed than some of our previous films we still were tweaking up towards the midnight deadline and uploaded in the last hour of the contest. 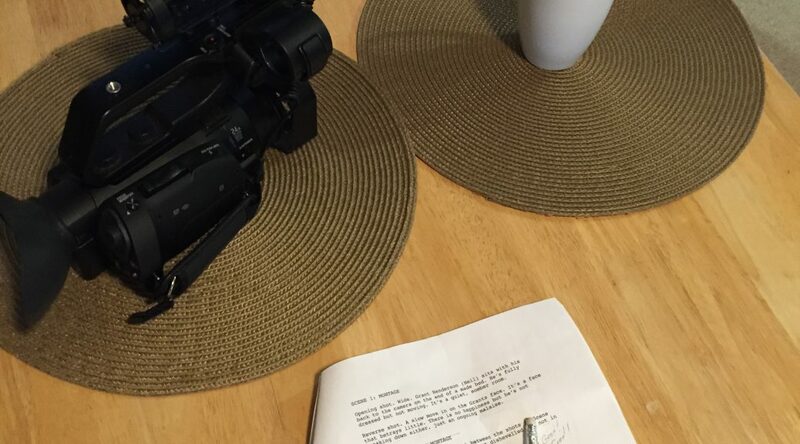 That’s right…despite saying several times, “This one is the last one we are doing!”, we have decided to tackle the 100 Hour Film Project again. We are putting together our team. We have a couple of regulars like Pat Williamson and Neil Bennett hooking their star to our little red wagon, but in theory we may have a few newcomers to the group as well to help either shoulder some of the burden or dive into the abyss with us. He asked for a little help so we got Lazlo Bienkila out of the grave (apparently he was long dead, the result of a Zamboni incident) and got him to direct the two shorts (The Poopular Vote & Voting Season) below: There’s supposed to be more coming but hey, give Lazlo a break, he’s been mostly dead for over a decade…it isn’t easy getting back into the directorial seat for a corpse. 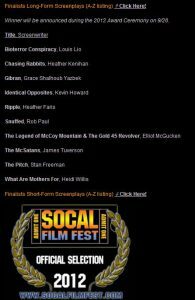 In December of 2013 Eric and I decided to take another run at the 100 hour film racing competition. Our theme was renewal, our prop was ice and the action was someone checking the time. 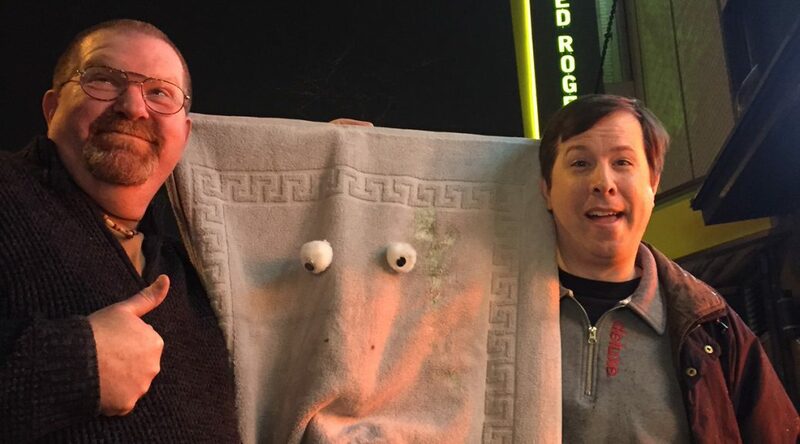 With Pat and Neil back as cast members and Pat lending an extremely helpful hand building the costume for Notlob we made a fun, weird, 5 minute short flick. 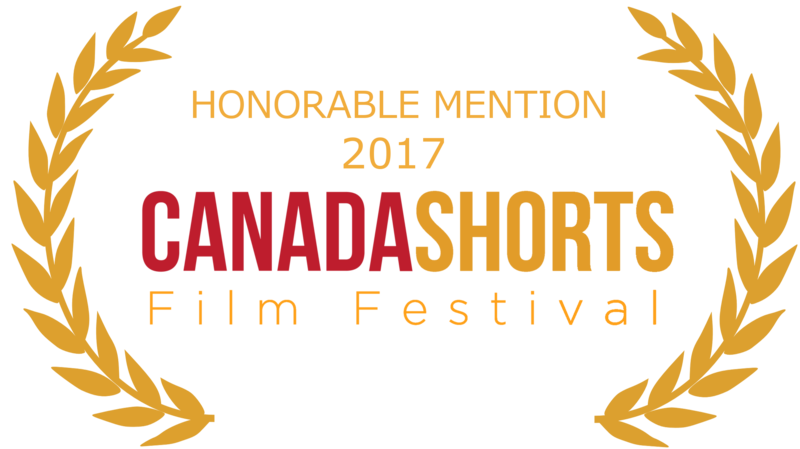 Now we find out we are still in the competition as the judges at filmracing.com have placed Notlob in the top 20. So hello horn, toot toot! 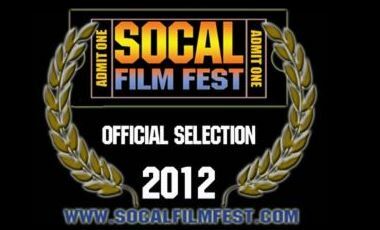 Got a nice little email this morning from the folks over at SoCal Film Fest 2012. 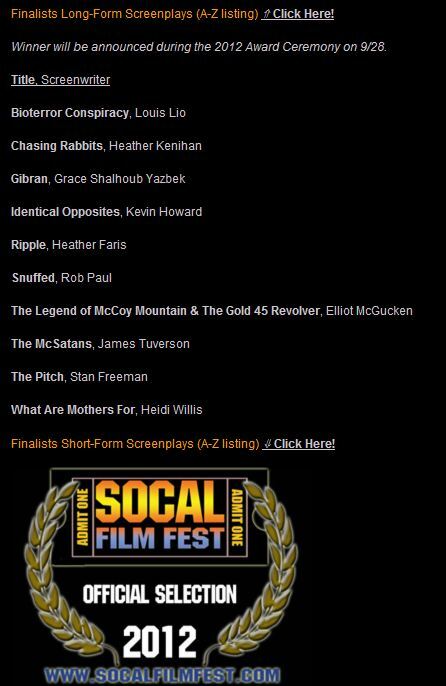 Apparently our screenplay for Snuffed made it to the final round of judging, so we are at least an official selection and a top ten finalist in the feature film screenplay competition. 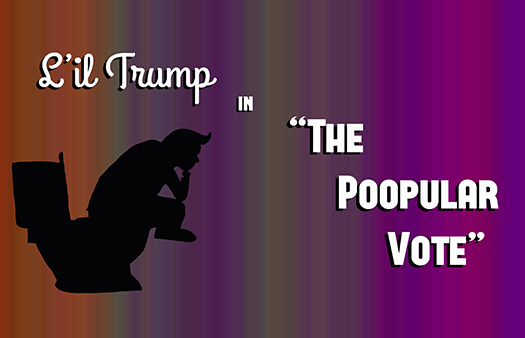 I’ll update the site when we get told we are beaten by The McSatans, because seriously, how awesome is that title?